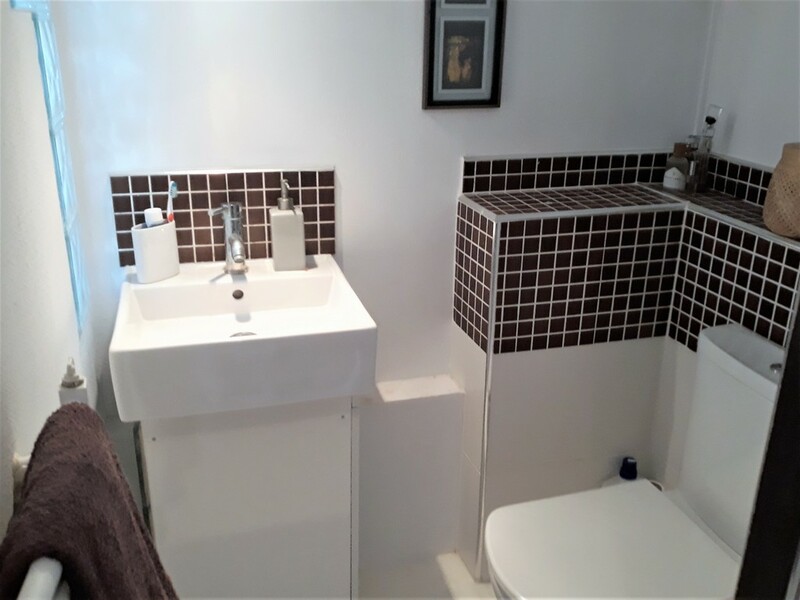 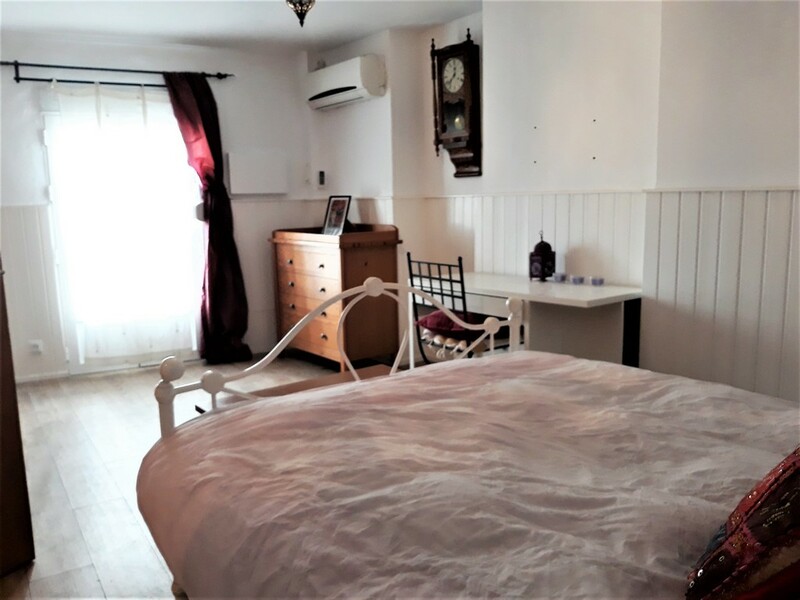 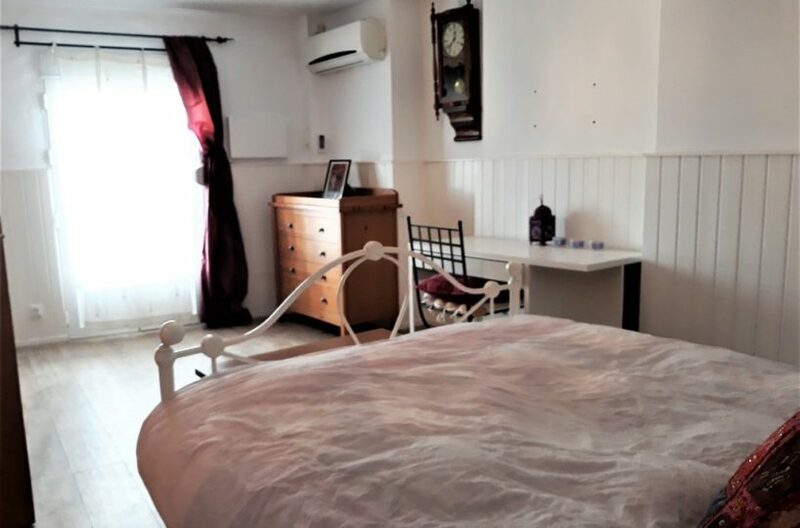 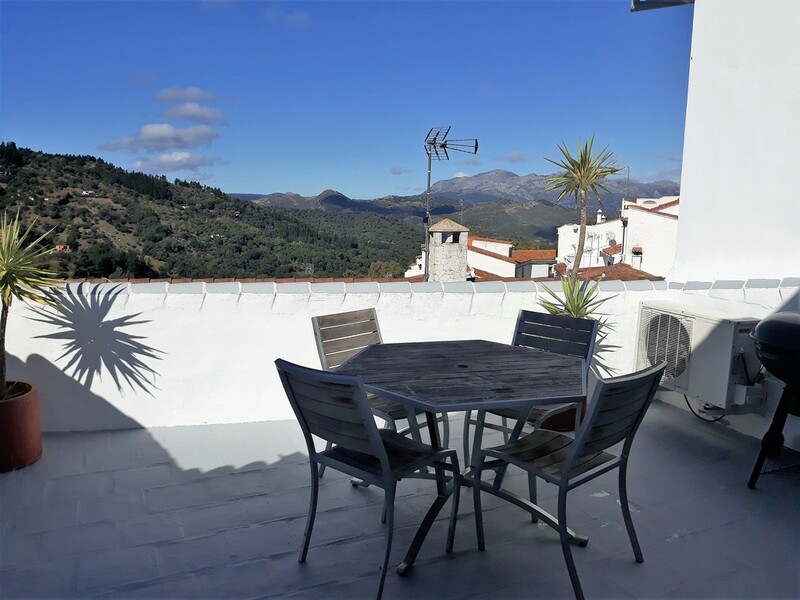 Set in one of the higher parts of the village, this house is set in a very peacefull location with accesses from both sides of the house. 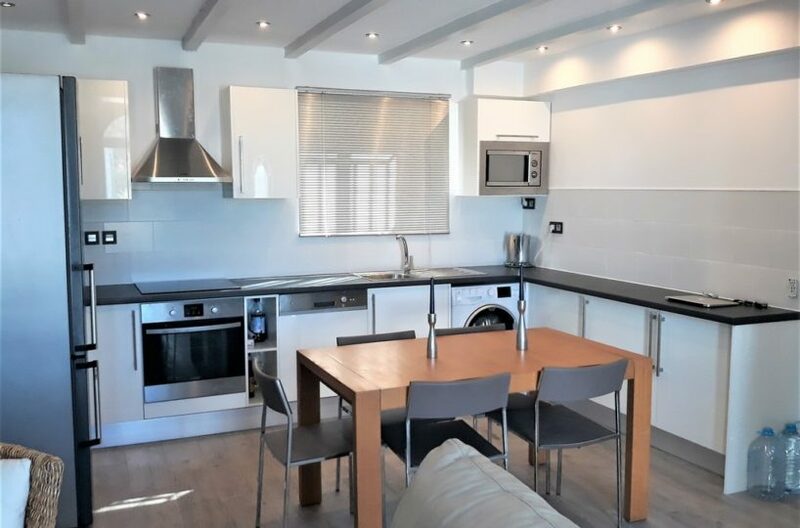 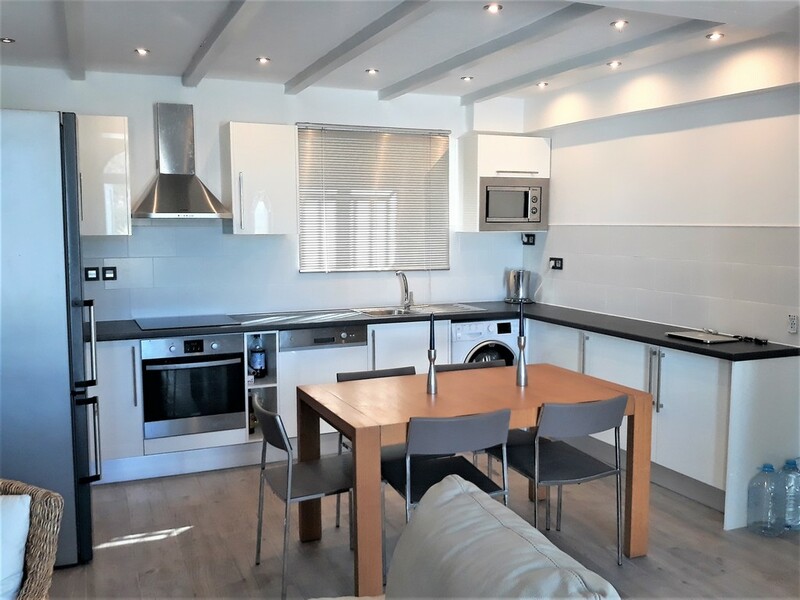 From the top street you access the property directly into the kitchen lounge which is all recently refurbished and in great condition. 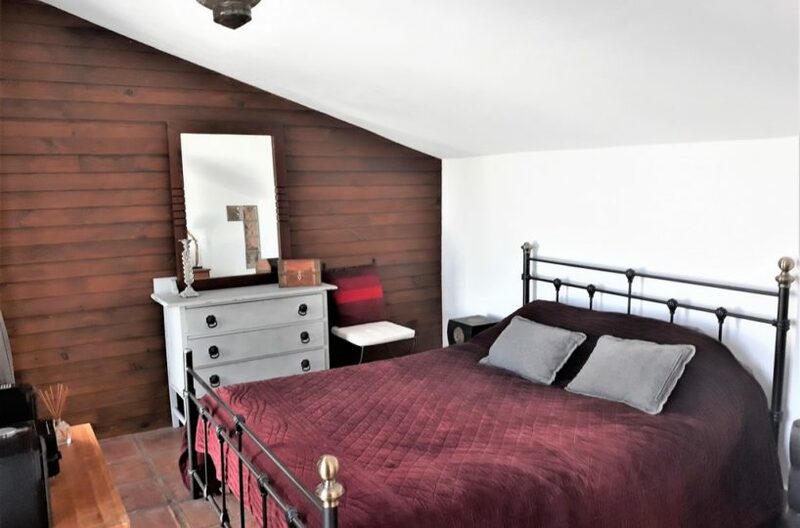 It has a wood burning stove and leads directly out onto a fantastic terrace. 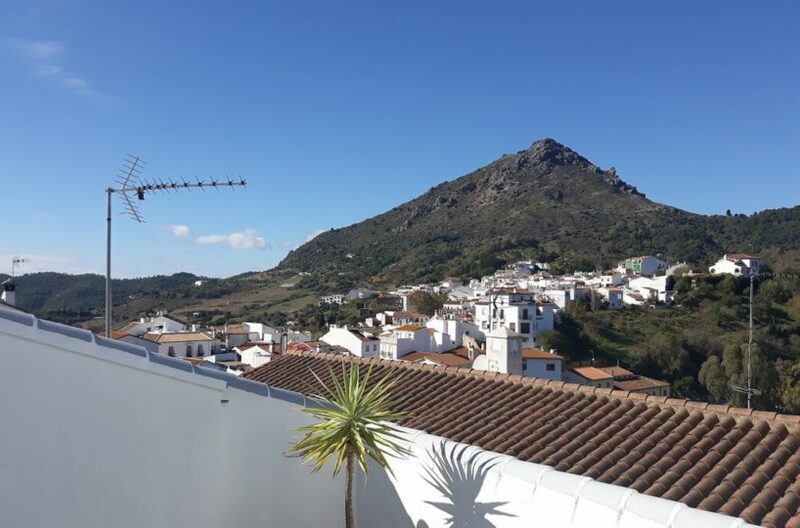 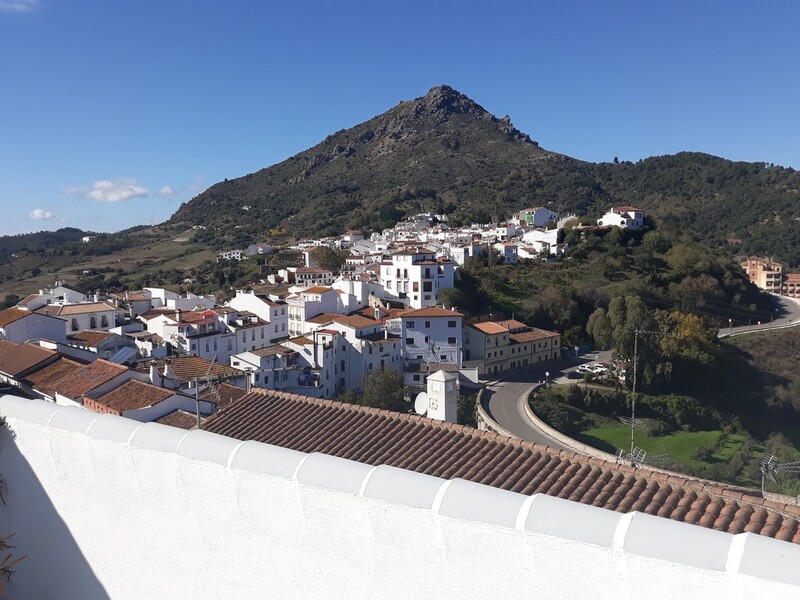 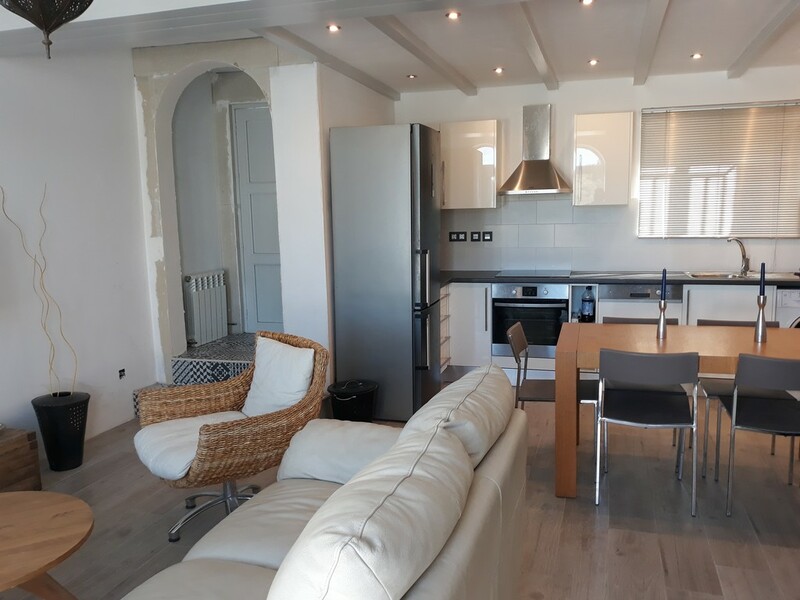 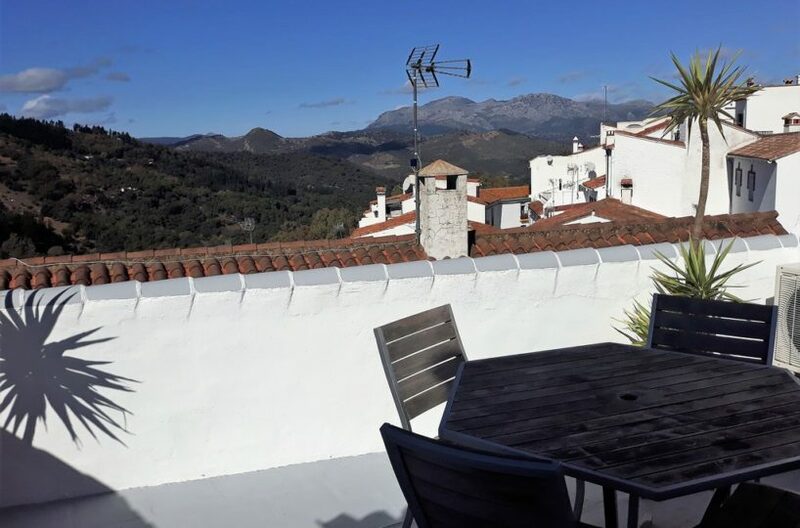 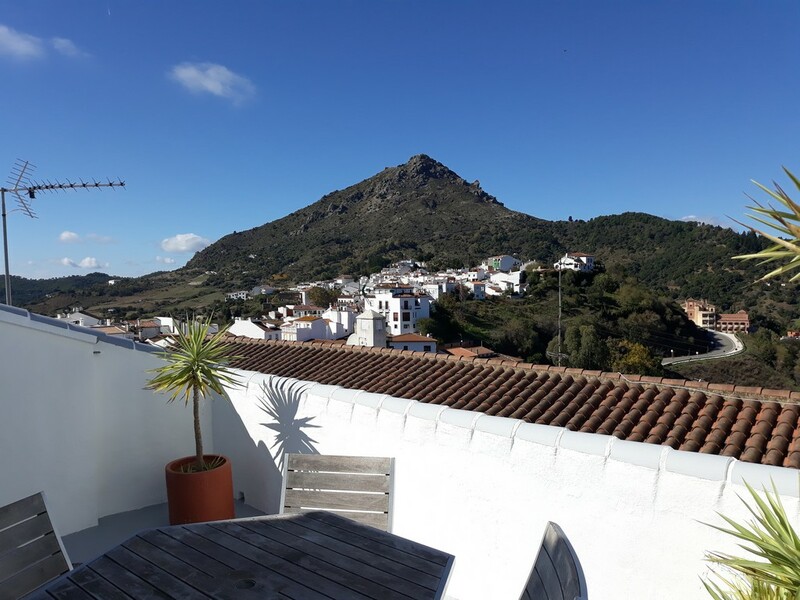 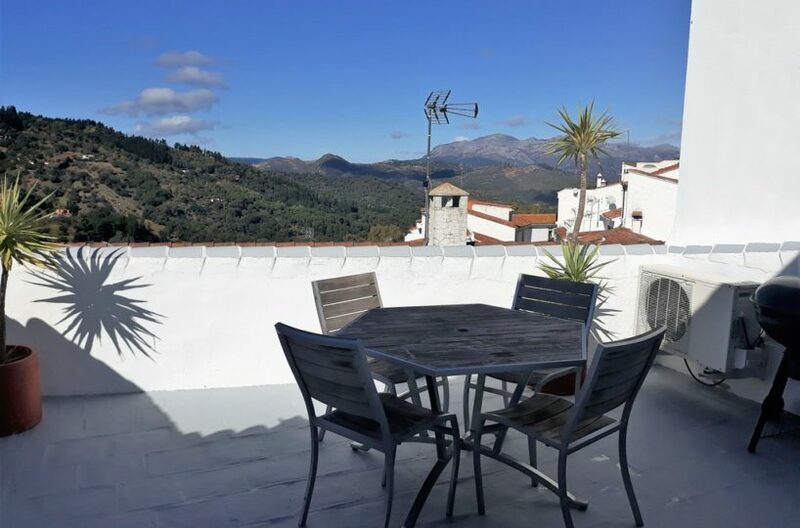 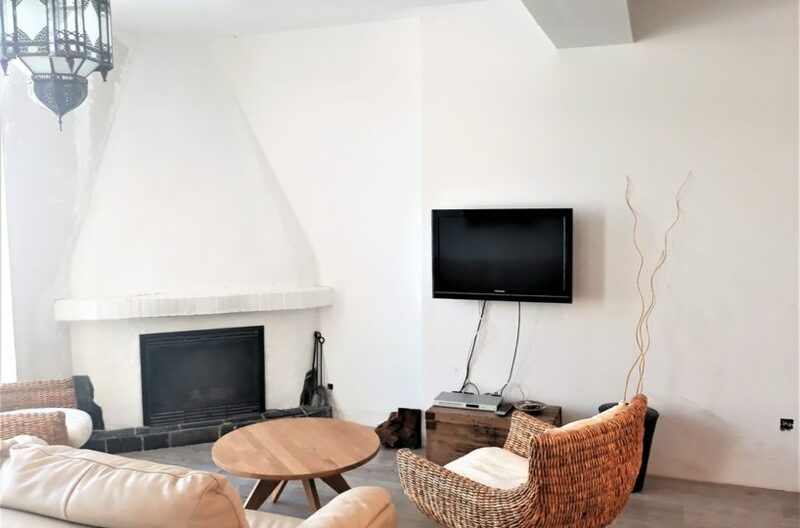 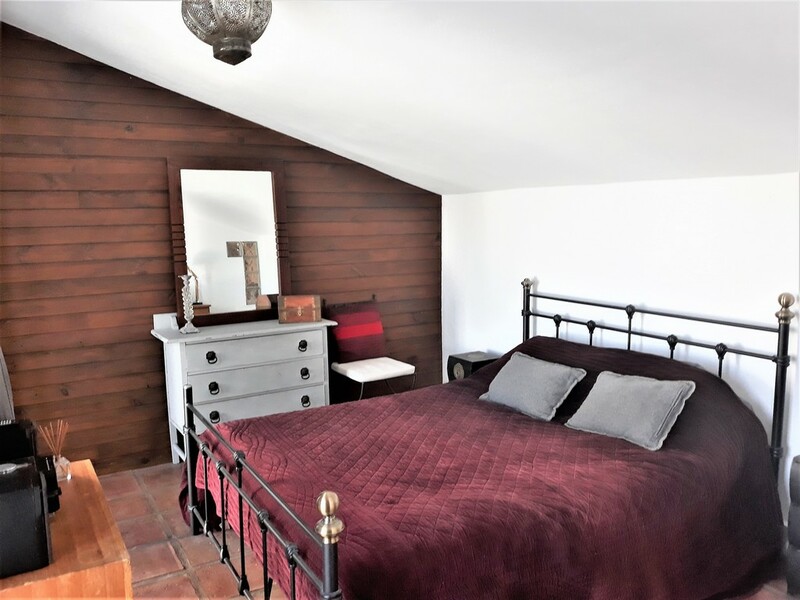 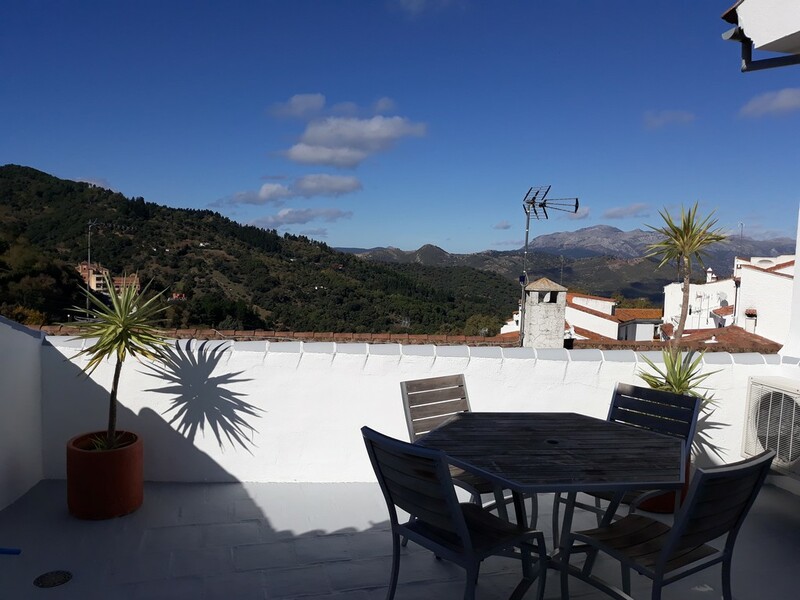 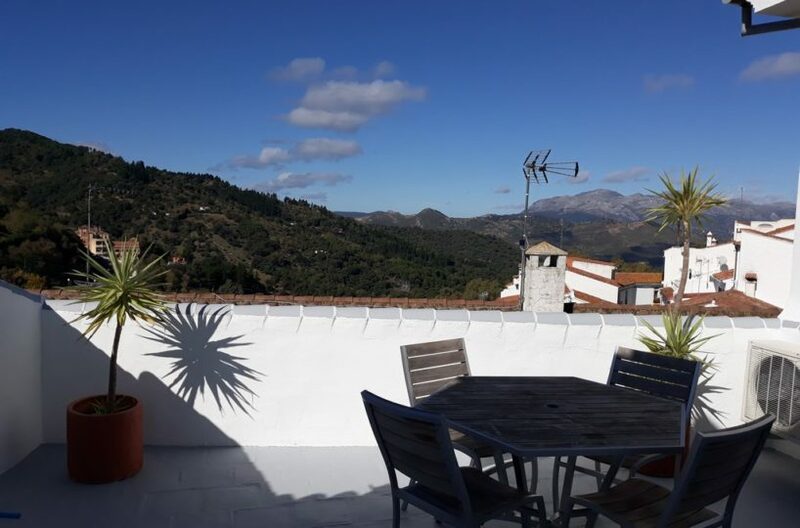 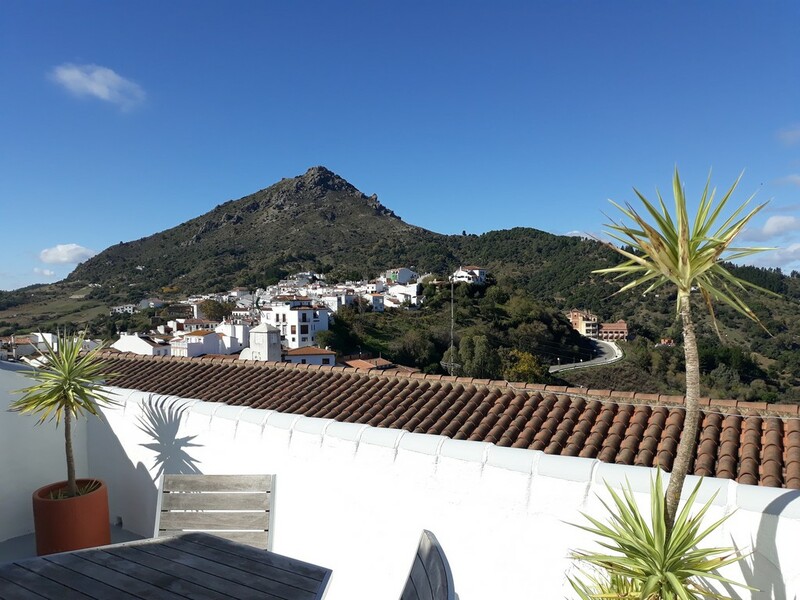 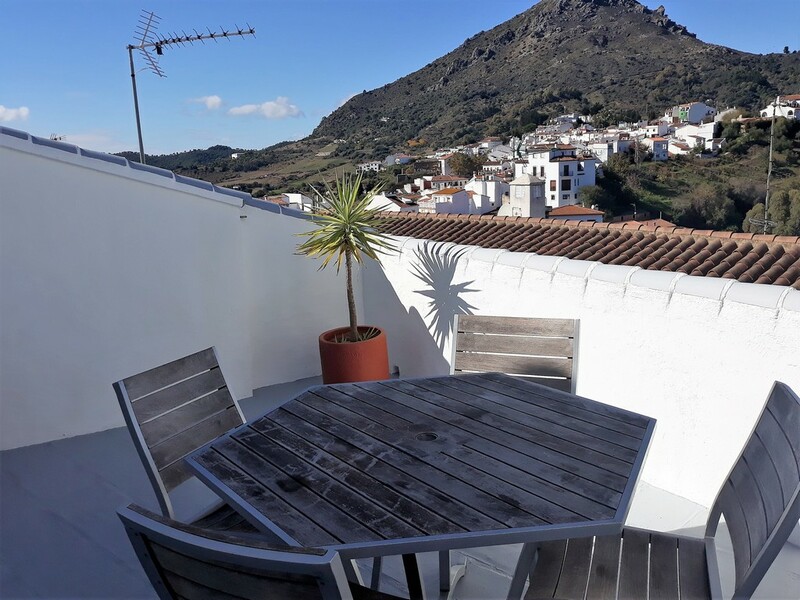 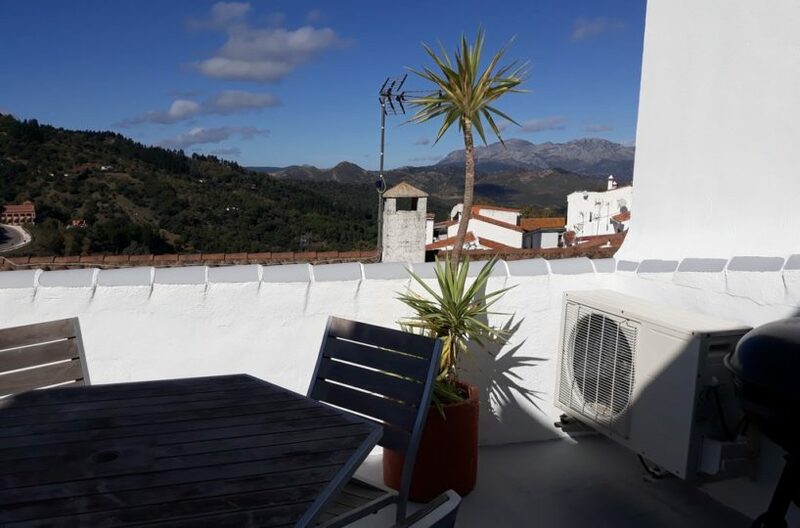 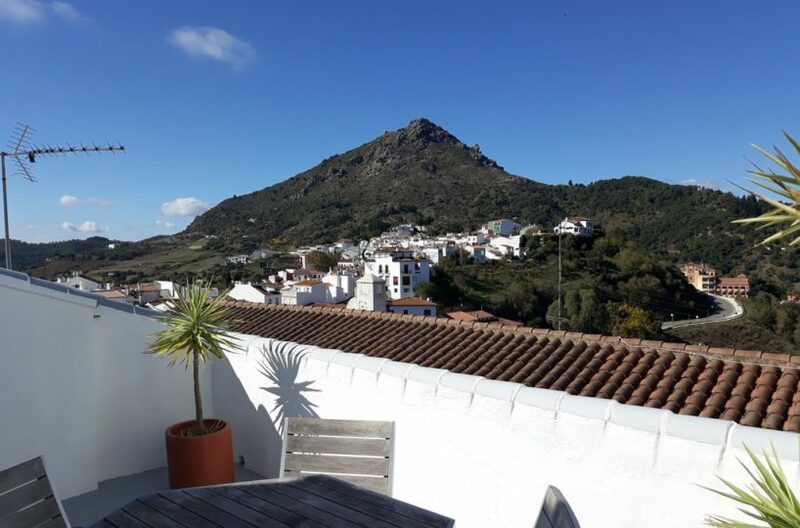 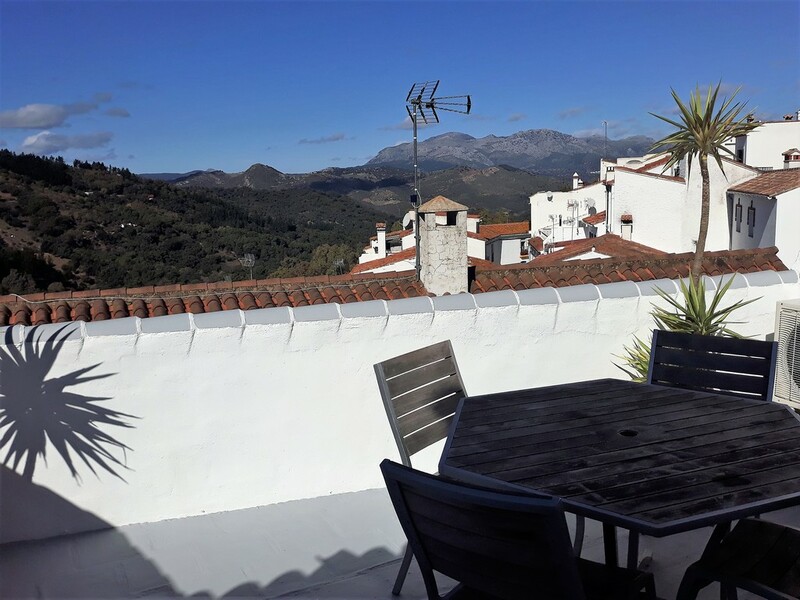 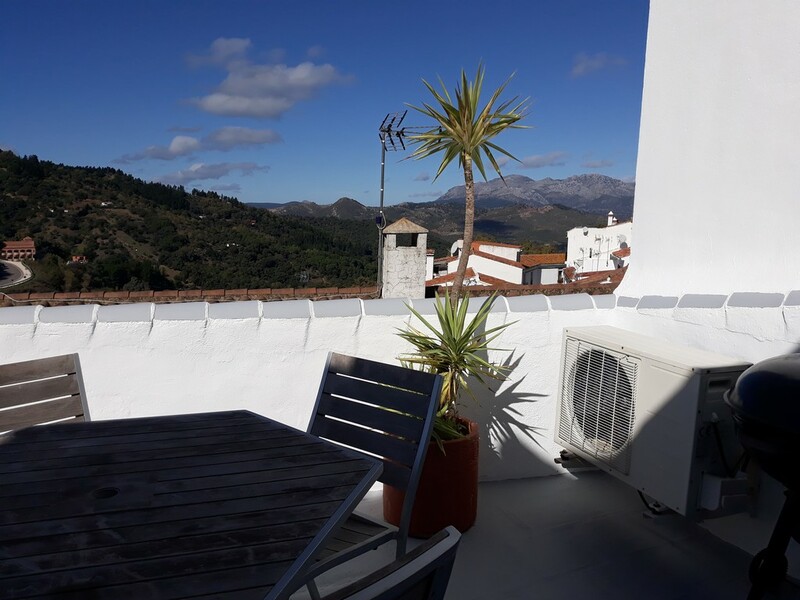 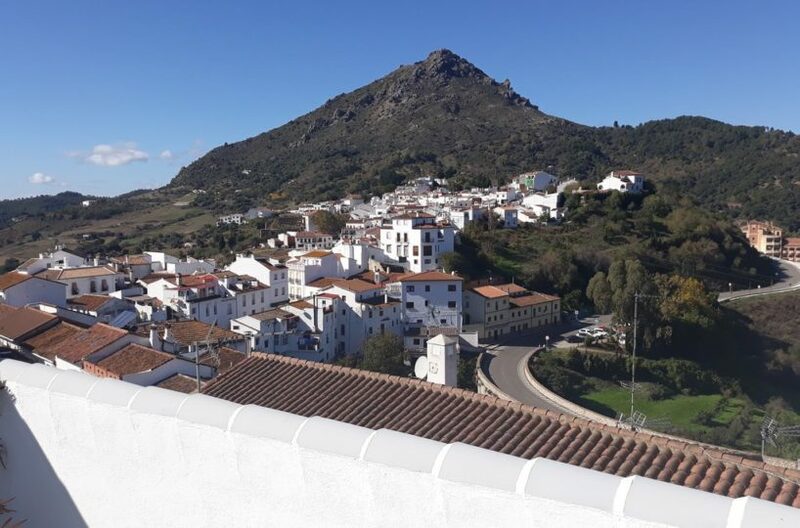 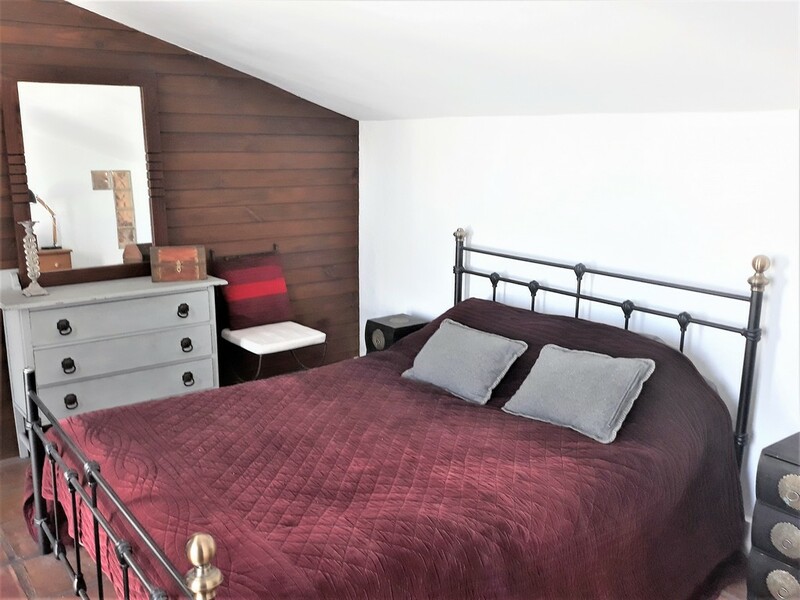 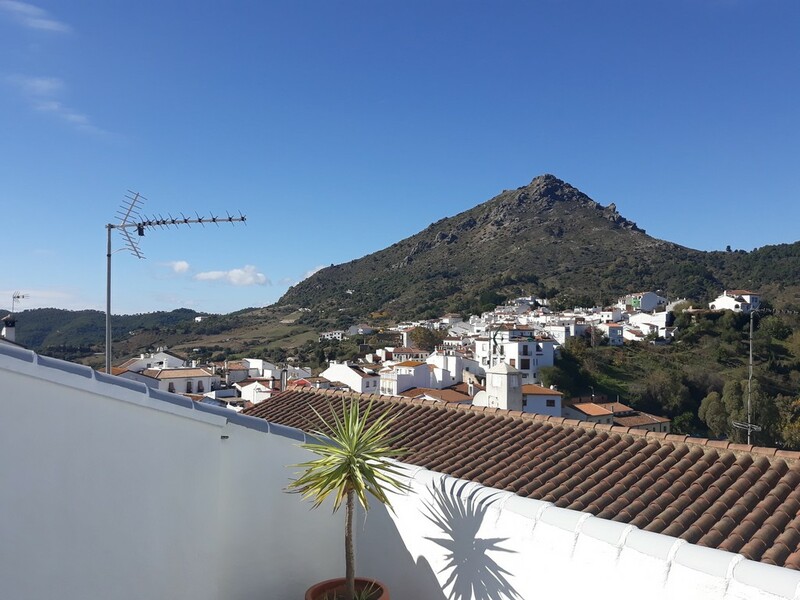 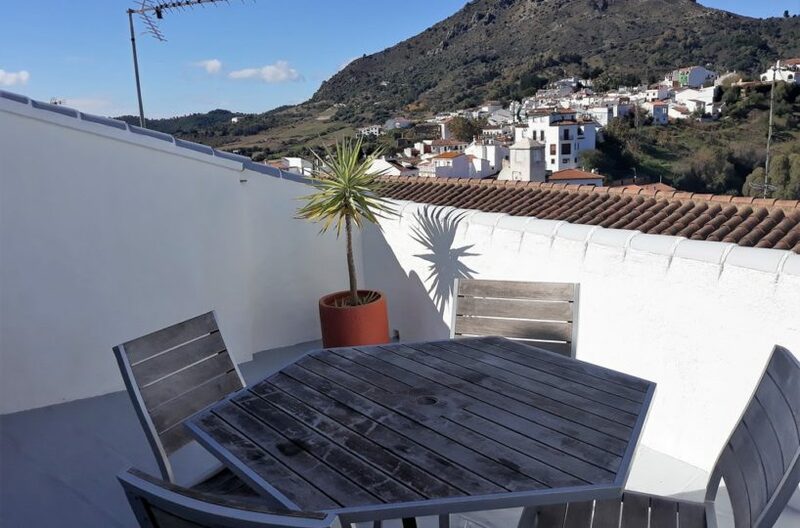 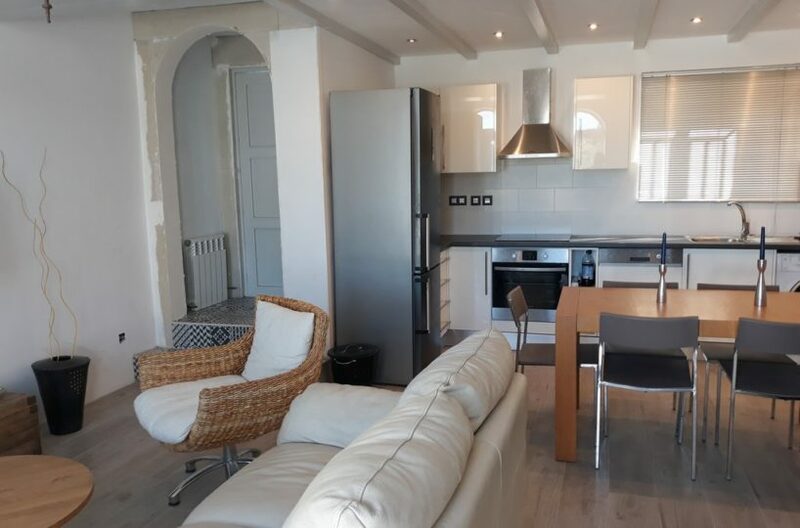 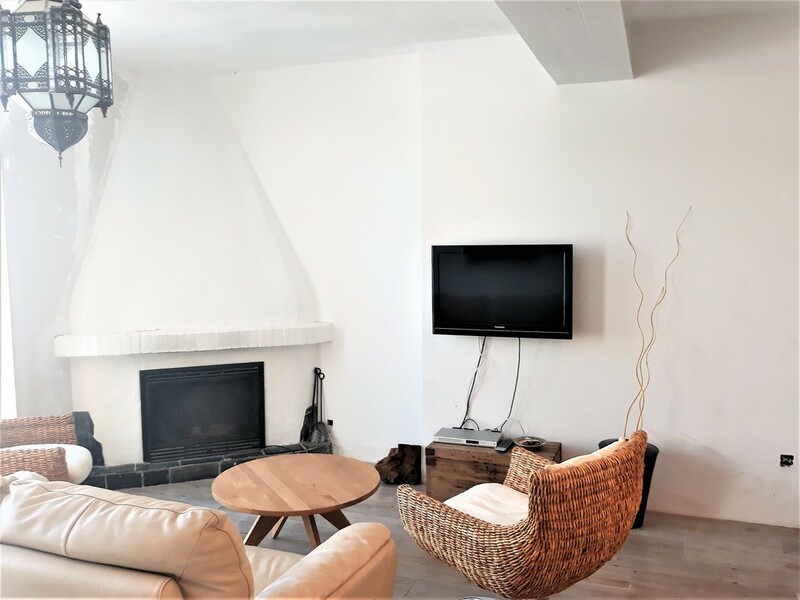 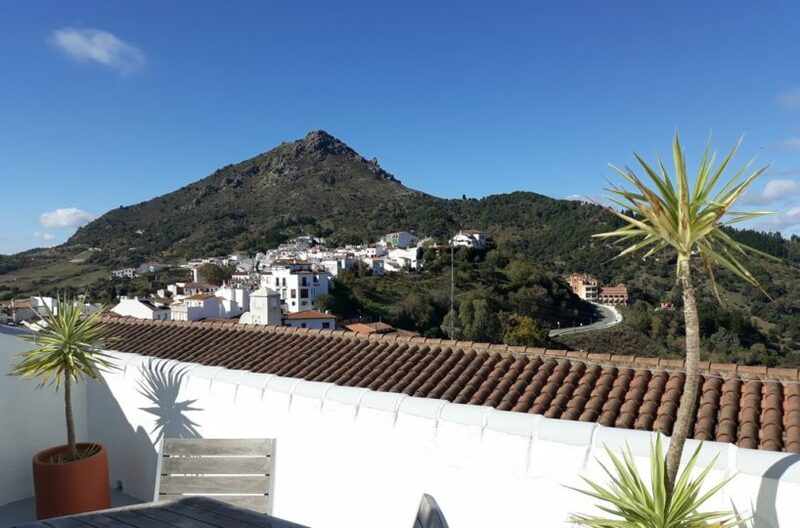 The floor above is reserved exclusively for the master bedroom with its own bathroom and stunning terrace with great views of the village of Gaucin and the mountain of el Hacho. 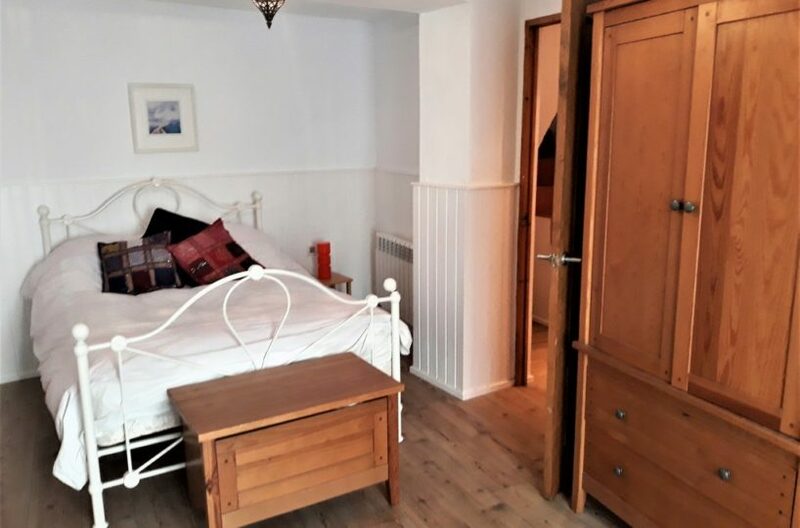 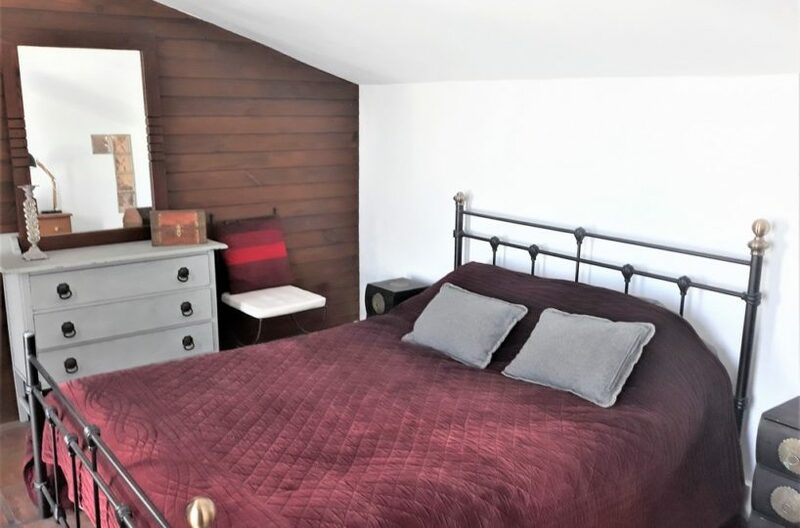 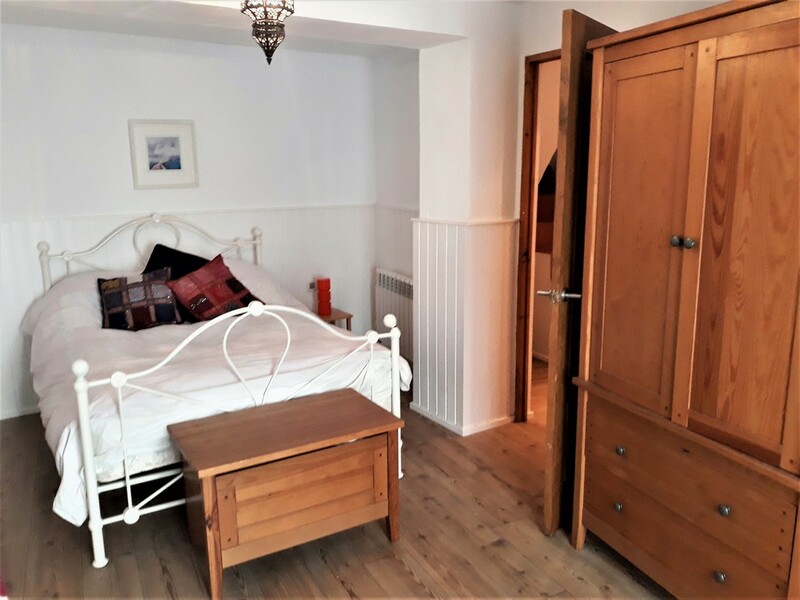 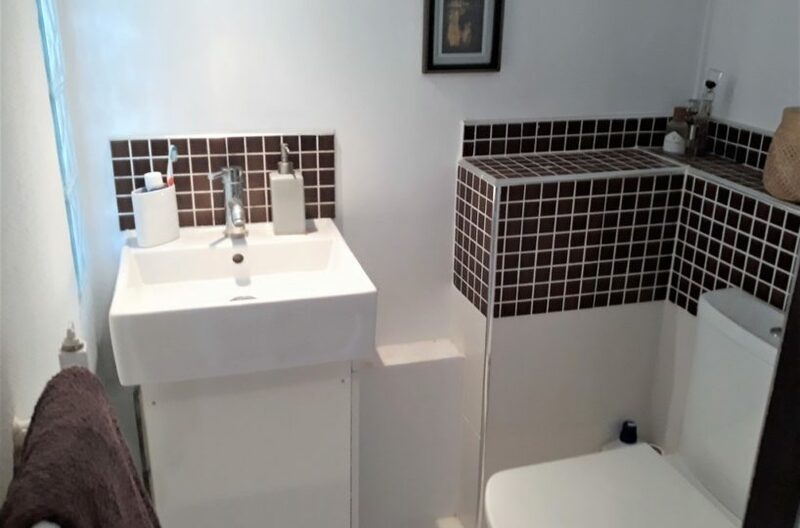 The two ground floors below both have a large bedroom and bathroom on each floor and the lowest level leads on to the street below and your secon access.